In today’s story by Bruce Horovitz for USA Today, Bruce announces that McDonald’s, Burger King and Taco Bell are unveiling huge values for the New Year. This should be welcome news to all of us who are watching our wallets but still need to get out of the house for a quick treat. When we were out of work, my UPiC (Unemployed Partner in Crime) Shelley and I used to walk to McDonald’s for a double cheeseburger meal. Sadly, it made our day. 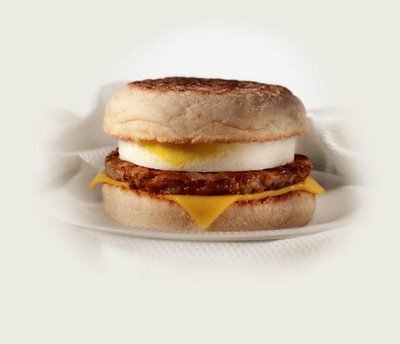 McDonald’s is adding a dollar breakfast menu (yes, beloved McMuffin is on there! ), Taco Bell unveils an 89-cent Beefy 5-Layer Burrito and Burger King adds a $1 chicken sandwich. These are just a few of the items coming to your local drive-thru in 2010.